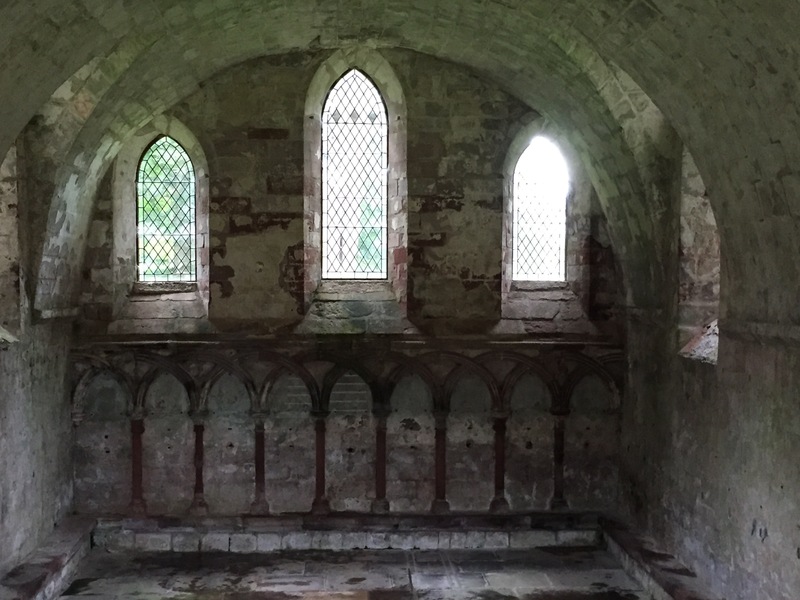 where the canons gathered, seated on the stone benches along sides of room, for a chapter of the Rule read every day, for Abbey business, confession and discipline. The plaster walls would have been painted, and slight traces remain. The canons took a vow of silence but they could speak regarding Abbey business here, although no private conversations were allowed. 15 Sep	This entry was published on September 15, 2017 at 8:45 pm and is filed under Uncategorized. Bookmark the permalink. Follow any comments here with the RSS feed for this post.